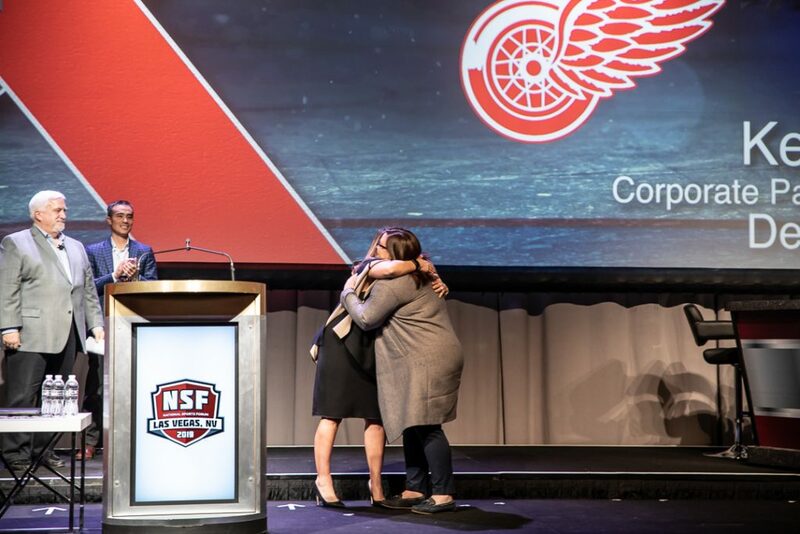 San Diego, CA – The National Sports Forum is proud to present the 2019 OM Foundation Award to Keri Gallagher, Corporate Partnership Marketing Manager of the Detroit Red Wings and CFO of Rebel Nell. The award was presented at the 24th annual National Sports Forum in Las Vegas, Nevada on February 11th, 2019. The NSF OM Foundation Award began in 2014 in partnership with the NSF’s official charity, the OM Foundation. The Award recognizes an individual in the sports & entertainment industry who goes above and beyond to better their community. Individuals are nominated by industry peers, and the recipient is selected by the NSF Steering Committee and OM Foundation Award Selection Committee. Keri Gallagher was nominated and selected as this year’s winner for her amazing work with the Rebel Nell Foundation. Rebel Nell, located in Detroit, Michigan, is a non-profit organization founded in 2013, with the mission to employ women facing barriers to employment, educate them on financial management, life wellness and entrepreneurship, and empower them to transition to a life of independence. Rebel Nell partners with local organizations in the area to find women who are struggling to get and retain employment, and hire them as Creative Designers, teaching them how to craft jewelry from fallen layers of graffiti, all while providing support to help these women get on the right track. Gallagher, who currently serves on the Board and as the CFO, is also the Co-Director of T.E.A (Teach, Empower, Achieve). T.E.A which began in 2016 as an additional way to enhance the lives of these women employed by Rebel Nell, through workforce training, education, skill development, coaching and mentorship services, and much more. The NSF and OM Foundation Committee is honored to have Keri represent the OM Foundation as this year’s award winner. The National Sports Forum is the largest annual cross gathering of the top team sports marketing, sales, promotions and event entertainment executives – from throughout the broad spectrum of teams and leagues, (i.e. NFL, MLB, NBA, NHL, Minor Leagues, Racing, Colleges, etc. ), in North America. 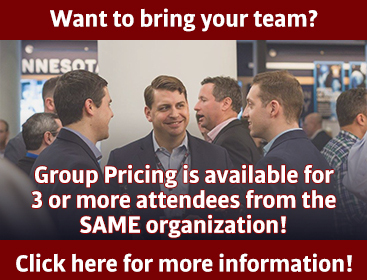 The Forum meets each year for three-days of networking, idea sharing and listening to the industry’s top spokespeople, through numerous breakout sessions, panel discussions, networking events and keynote speeches. The National Sports Forum is overseen by a diverse Steering Committee of team, league, and industry leaders – peers that share a universal interest in meeting and learning from one another. The 25th Annual National Sports Forum conference will be held February 11-13, 2020 in Atlanta, GA. The National Sports Forum’s official sponsors include Budweiser, Daktronics, BRC Imagination Arts, and PSAV. More information about sponsorships can be found on our website at www.sports-forum.com. OM Foundation (OMF) is a nonprofit organization founded in 2009 by Bonner Paddock. OMF raises funds to help support early learning centers for special needs children. These centers provide the much needed physical, occupational and speech therapy for children with all types of disabilities. Learn more at www.1man1mission.org.